The Fine Bedding Company, a well-known brand from multi award winning British manufacturer Trendsetter Ltd, is bringing over 100 years of expertise to the hospitality sector, as it announces plans to develop actively in the market under its new Hotel Division with a comprehensive range of top quality, high performance hotel bedding developed specifically to cater for the demands of a commercial environment. As a fourth generation, family owned business, The Fine Bedding Company has an impressive track record in design and innovation. 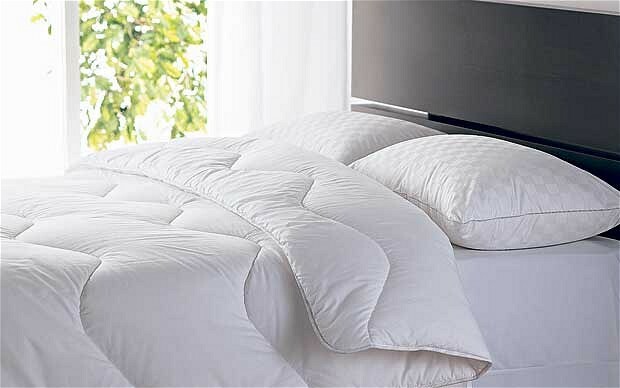 The company was first to market with both the Four Seasons duvet concept and the first truly home washable duvet, the Spundown brand. The Fine Bedding Company from Trendsetter is also the only bedding brand to receive the Queen’s Award for Innovation. Unique high performance product breakthroughs include Smartfil, a soft and fluffy, non allergenic, multi layered fibre filling. Smartfil features tiny fibres that have a highly resilient protective coating which allows duvets and pillows to retain their silky soft touch and performance for much longer than ordinary hollow fibre products, even after repeated washing and heavy use. Plus Smartfil duvets and pillows can help cut costly laundry bills because they can be washed at 60 degrees (the temperature at which dust mites are destroyed) in a standard 7kg washing machine. As a specialist supplier of bedding to many of the high street’s best-known retailers, both in the UK and internationally, The Fine Bedding Company is an experienced large scale manufacturer, producing over 30,000 duvets every week. Operating from a wholly owned 5,500m2 purpose built production facility allows The Fine Bedding Company full control of all aspects of the finished product and the supply chain, including specification, quality, logistics and cost. “From our experience in the retail sector, we have developed a thorough understanding of what consumers look for in a good night’s sleep and as a bedding specialist with a long established brand heritage we are bringing that insight to the hotel sector,” said Sara Wadsworth, Brand Manager . “Having recently acquired the well known Del Banco Meyer brands which include Nimbus, we have the flexibility to further expand our product range to meet our customers’ needs and access new sourcing channels and expertise as the market dictates. It is an exciting period in the company’s development,” said Sara. The Fine Bedding Company Hotels Division offers a comprehensive range of hotel duvets, pillows, mattress toppers and protectors with a choice of outer cover and in a variety of sizes for maximum flexibility. The range includes both Smartfil® and natural filled bedding products.